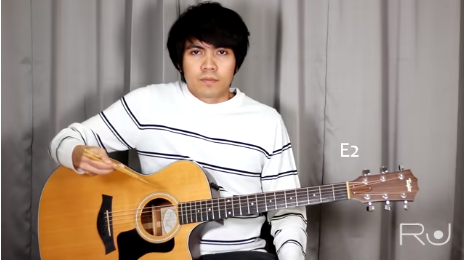 Manila, Philippines - Known to his guitar skills tutorial and some of self confessed covers, the Filipino guitarist from Calamba, in Laguna is gaining another online buzz for his cover of Queen's "Bohemian Rhapsody," this time he uses chopsticks. Ralph Jay Triumfo posted recently a video on his YouTube channel showing the unique style of interpreting the popular song of all time. The video shows four screen, showing Triumfo plucked every single note of the song and its melody using the chopstick which would be more complicated to hit the desired string and timbre. With the helped of technology he surprisingly finished his masterpiece with a jaw dropping performance. To make this happen, he shot his performance patiently to come up with a complete Bohemian Rhapsody.